Welcome in the holiday season with the Holly Berry Basket. This square-to-round basket measures 5” x 5” base and flares out to a 7” round top. 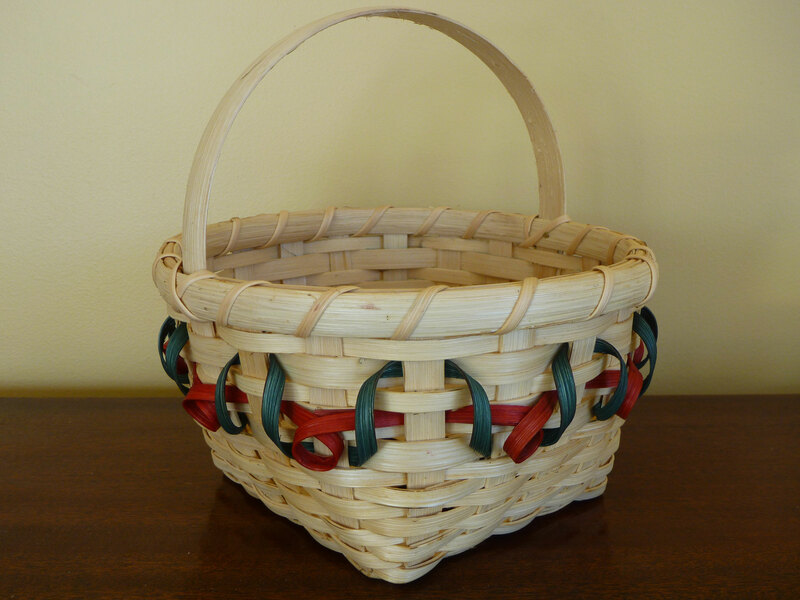 Colorful “holly berries” are woven on the sides of the basket with dyed hunter green and cranberry red reeds. The Holly Berry Basket is the perfect solution for those “hard to buy for” names on your gift giving list. Any lever of weaver will enjoy this fun project so click here to purchase this pattern.